We have great pleasure in introducing to the world of oriental scholars, the first volume of Kanva-Samhita (chapters 1-10) with Padapatha and commentaries of Sayanacarva and Anandabodha, first time critically edited by Dr. B. R. Sharma. We have contemplated to bring out the edition of Kanva Samhita, with Padapatha and three commentaries in four volumes. Fifth volume will consist of various indices. The commentaries of Sayanacarya and Anandabodha have been available on the first twenty chapters, while chapters 21-40 have been commented upon, by Ananda- bodha and Anantacarya.
. The entire work has been critically edited by Dr. B. R. Sharma,. on the basis of numerous manuscript material, and we are very much grateful to him for preparing this edition laboriously, and also for allowing us to publish the same.
. The Government of India, Ministry of Human Resource Development, New Delhi, have accorded sanction to the grant towards the editing and publishing of this volume. We record our deep sense of gratitude to the central Ministry. Similarly Shriman M. S. Parkhe, relieved us from the anxiety caused by the paucity of paper and extended timely help in furthering the printing of this volume. We are very much thankful to him. Our colleagues Dr. Mrs. S. R. Abhyankar, Dr. N. D. Sharma and shri, J. D. Joshi, who rendered great help in revising the press copy and correcting the proofs, deserve our heartfelt thanks. We hope this volume will receive high approbation from the world of oriental scholars. 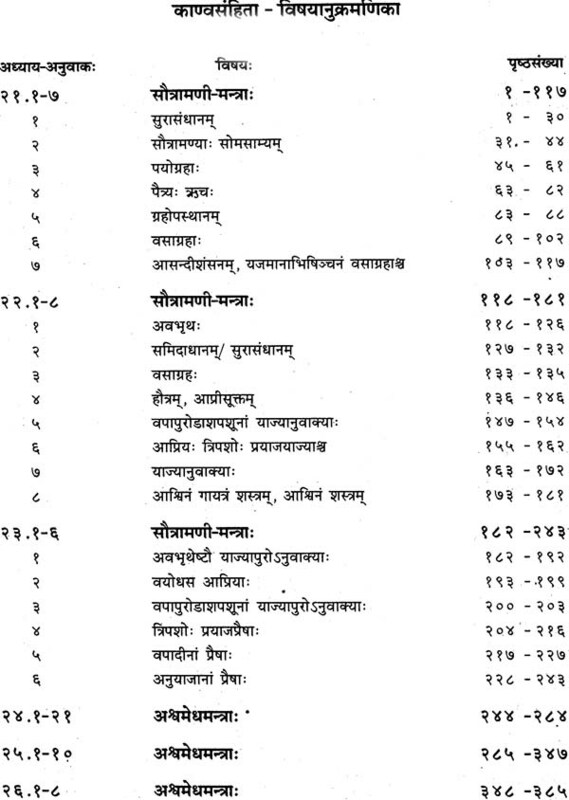 The edition of the Vajasaneyi Kanva Samhita of the sukla Yajurveda was planned by me as early as 1966. While working on my major Samavedic project, side by side I started to collect the manuscript material for my new project from the Libraries and private possessions. Before I left Tirupati in August 1970, I had been able to collect considerable material needed for this project. The rest of' the essential manuscript material I collected while working at Hoshiarpur, Kathmandu and finally at Mysore. In April 1978 having nearly finished my work one by one on my other projects.. I sat down to work on the Kanva Samhita seriously and dedicated my entire time on this major project. After the completion of the collation work I started to write the press copy in November 1979, to be exact, on 7-11-1979, wednesday at 10.03 a, m. and completed the tenth chapter on 27-8-1980, wednesday at 13.35 (i.e, 1.35 P. m.) I am very happy now to see that the first volume. 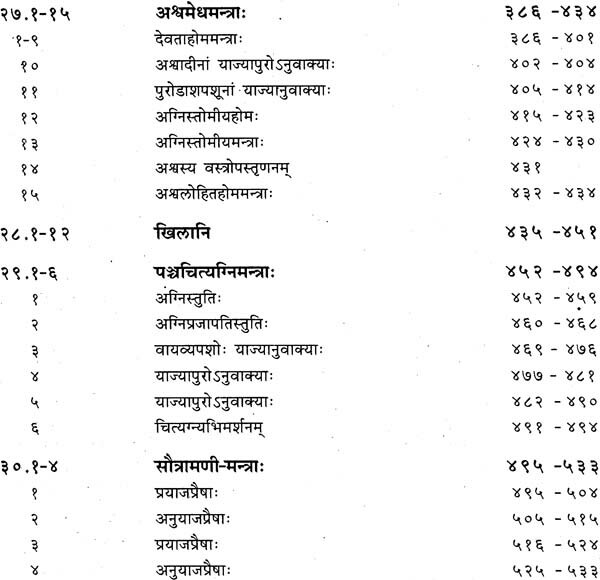 of this major Samhita of the sukla Yajurveda comprising the full Dasaka is now being issued by the Vaidika Samsodhana Mandala, Pune, Other volumes will follow in due course one by one as soon as they are printed. The edition of the Kanva Samhita has been prepared, as planned by, me earlier with Padapstha and all the three available commentaries. Of these three. commentaries, Anandabodha's Bhasyasangraha alone covers all the four Dasakas- Sayana's Vedarthaprakasa is available only on the first two Dasakas and 'the remaining latter two Dasakas are commented on by Anantscarya, I could not, however much I liked to, include the Orissan commentary on the Uitariirdh-a attributed to Sayana in my edition, for reason I have mentioned in the Introduction. 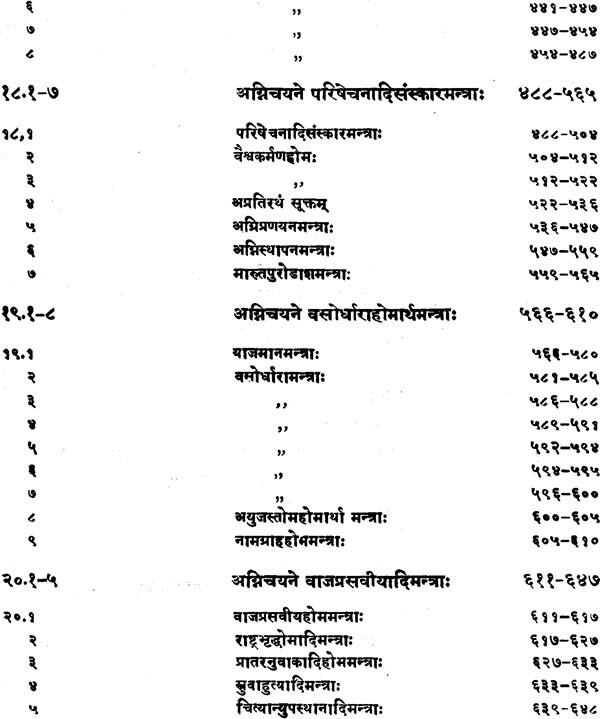 However, I must mention here, this is the first critical edition of the entire Kanva Samhita with Padapntha with accent and all the three commentaries, of which, as far as I know, Anandabodha's has been printed only in part before; and Anantacarya's was never. I dedicate this work to my professor Dr. S. M. Katre, who not only initiated and guided me in my researches, when I was a research student under him for my doctorate at the Deccan College Post-Graduate Research Institute, Pune, but also continued to guide me later in my academic life, whenever I sought his advice and guidance in my difficulties. I, now offer this Puspanjali in the form of the edition of the Kanva Samhitato my revered Gurudeva as a humble token of my gratitude. 1.Prof. D. V. Urs the Ex- Vice - Chancellor, Mysore University for' having recommended my name for the award of the U. G. C." meant for the Retired University teachers and for enabling me to carry out my Research Project in Mysore University in 1978. 4.Dr. T. N. Dharmadhikari for carefully going through the Presscopy and inserting the references in the commentary. He also went through the proofs with great care and saw the book through the press. I also express my sincere appreciation to the printing unit of the Vaidika Samsodhana Mandala, for the fine work they have done in printing this book. 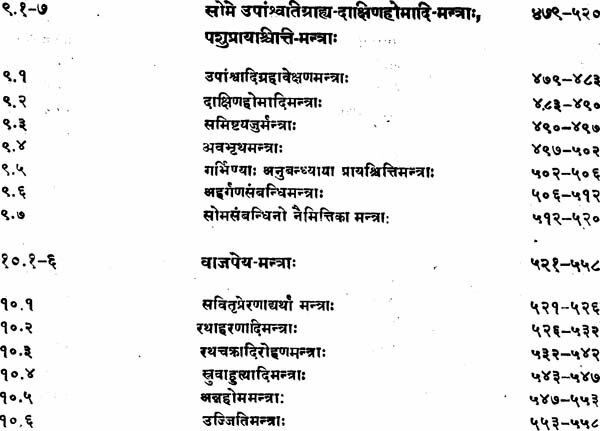 In the Introduction to the first volume of the Kanva-samhita, I have given brief account of the Yajurveda in general and the Sukla Yajurvede, in particular. I have also briefly reviewed the two commentaries: one of Sayana and the other of Anandabodha published therein. 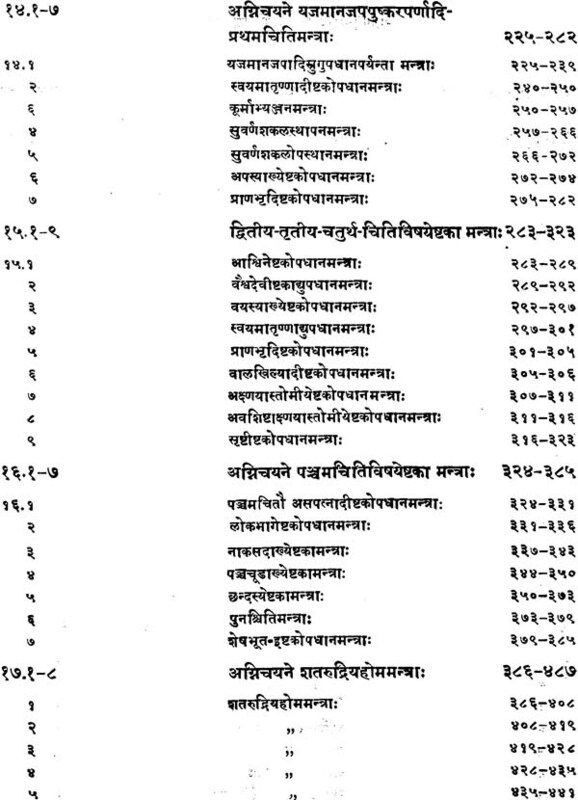 Incidentally I made a brief assessment of the commentary of Anantabhatta, as well as of that attributed to Sayana on the Uttara-vimsati, the latter half of KS, comprising Chapters 21-40. I referred to in this context again, briefly of course, the version of KS as prevalent in Orissa, on the one hand, and the version that is in vogue in Tamil Nadu, Karnataka and Maharashtra, on the other. Here I have brought to the notice of the readers the influence of the Orissan version reflected in that of Andhra, in the region bordering Orissa, as is evident from the commentary of Anandabodha. The second volume comprising chapters 11-20 now being published, completes the Purvavimsati, the first half of KS. 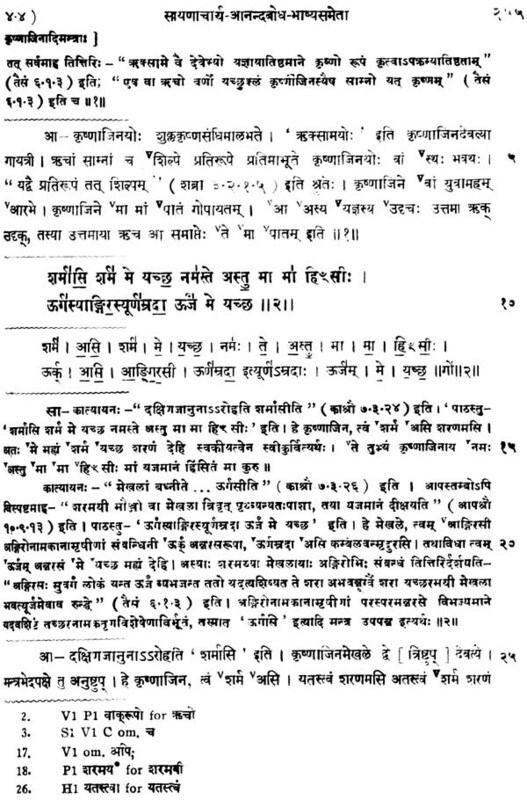 The commentary of Sayans, ends with this second dasati, whereas the Bhasya of Anandabodha continues further covering the entire/latter half as well. This is the only commentary of KS now available to us that covers all forty chapters of KS including the Isavasyaponisad.
. 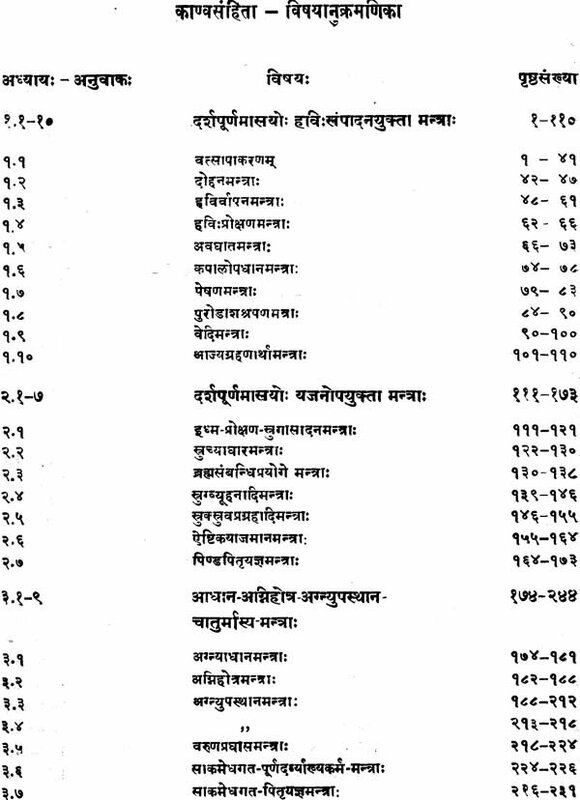 The Samhitas of Yajurveda comprising verses and formulas are compiled strictly in the order in which the rituals are executed by the priests. 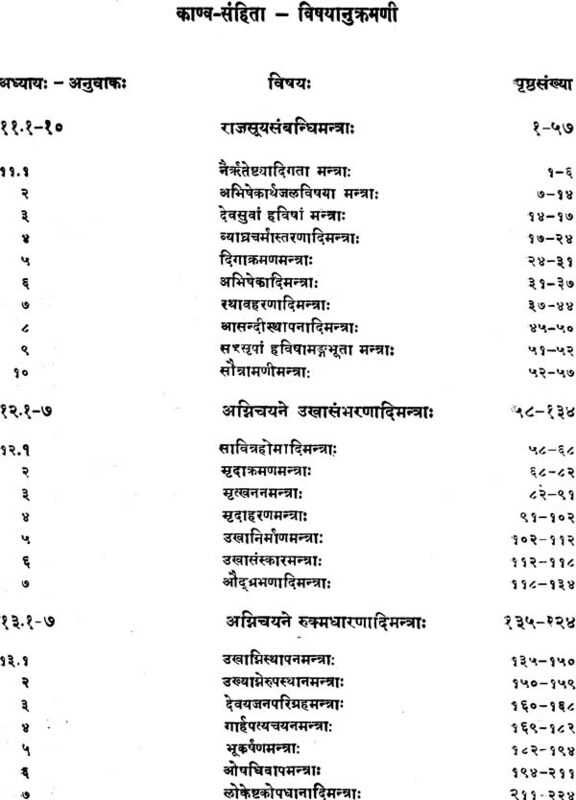 The Srautasutra, which differs from recension to recension, provides guidelines for execution of each such ritual act with procedures in minute details. Unless the ritual procedures are synchronised with accurate recitation of the mantras prescribed in the Srauta-sutras the results sought by a sacrificer may not be attained. Sayana, therefore, in his commentaries on Taittirya recension of the Krsna- Yajur- veda, on the one hand, and the Kanva recension of Sukla Yajurveda, on the other, follows a definite line in his interpretation of these two primary Samhitasof the Yajurveda. In conclusion of the Introduction to his commentary on TS. Sayana briefly spells the lines he followed in commenting on these Samhitas, He says the metre of a verse is to be ascertained with reference to book on metrios and deity will have to be identified as implied or expressed from his explanation of the text itself. In the course of commentary the relevant Brahmana portion ( of Yajurveda ) will be cited. 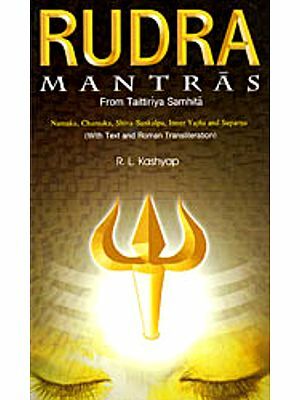 Since all particulars about the mantras to be recited and the procedures concerning the rituals are not available in one Brahmana the authors of Ka;lpasutras collected them from other Brahmanas also and included them in the Srauta-sutras such as Baudhayana etc. These details will be followed as far as they don't go against the spirit of Brahmana (of Yajurveda) when the mantras are executed in respective rituals (TS Pt. II. V. S. M.,Poona 1970 ). From the introductory verses of Sayana's commentaries, it becomes clear that this colossal project of writing commentaries on all the four Vedas and their Brahmanas and Aranyakas was well-planned on the lines of priority,-a project unprecedented in the history of world litereature. Before taking up the Samhitas one by one he experienced as a probationer, by writing brief comments on two books, one on Mimamsa and the other on the Vedanta. In the introductory verses of each Samhit a reaffirming his commitment and expressing his determination to successfully accomplish the great task undertaken by him, he worked incessantly and the works one by one as it was finished, rolled on like a finished gem from the hand of a diamond-cutter to form a bright garland dedicated to the great Vedic tradition. After TS Sayana's next venture was his commentary on the Rgveda. He has demonstrated his commendable knowledge of the doctrine of Mimamsa in his Upodghata to RV, where he also discussed many relevant problems including the origin of the Vedas. In his commentary of RV he has shown his unparallelled mastery over the Vedic language explaining etymology, morphology, semantics, accentography etc. of the vocables with quotations from the relevant authorities. I have great pleasure in placing before the Vedic scholars the third volume of the Kanva Sarnhita alongwith the commentaries of Anandabodha and Anantacarya, edited by Dr. B. R. Sharma. The Mandala published the first Volume (Adhyaya-s 1-10) of this work in 1988 and the second (Adhyaya-s 11-20) in the year 1992. These two volumes included the- Bhasya-s of Anandabodha and Sayanacarya, Now are being published the third and the fourth volumes with the commentaries by Anandabodha & Anantacarya. The completion of this work was interrupted due to inadequate staff and the time that was required to revise the text in the usual critical method that the Mandala has been always observing meticulously. Finally, we could overcome these difficulties and are in a position to present the work for the service of the Vedic Scholars. Dr. T. N. Dharmadhikari worked for Adhyaya-s 21- 26 and Dr. Sunanda Abhyankar for Adhyaya-s 27 - 30 of this Volume. Both of them deserve our sincere thanks. We are painfully aware of certain deficiencies for which we crave the indulgence of the scholars. 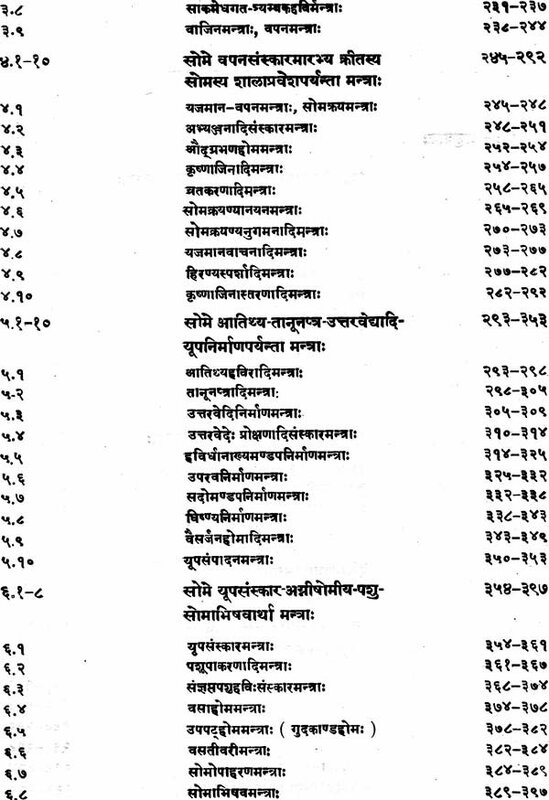 The printing upto the end of the 26th Adhyaya-s was done in the Mandala's own Press while that of Adhyaya-s 27 -30 was done by Mac script. We thank them for the quality work they have done. 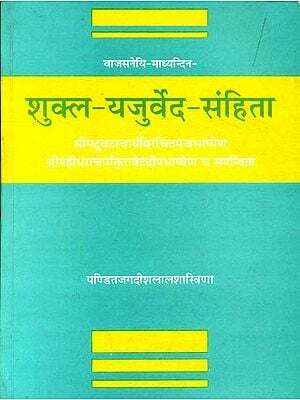 The Rashtriya Sanskrit Sansthan, New Delhi has accorded sanction to the grant towards the editing and publishing of this volume. We record our deep sense of gratitude to the Rashtriya SanskritSansthan. We are grateful to Dr. B. R. Sharma for the pains he took in preparing this Edition, at this old age and also for allowing us to publish the same. Indifferent health did not allow him to write his scholarly Introduction to this volume which as per his communication he proposes to do at the time of printing of the Index- Volume. I have great pleasure in placing before the Vedic Scholars the fourth volume of the Kanva Samhita alongwith the commentaries of Anandabodha and Anantacarya, edited by Dr. B. R. Sharma. The Mandala published the first volume (Adhyaya-s 1-10) of this work in 1988 and the second (Adhyaya-s 11-20) in the year 1992. These two volumes included the Bhasya-s of Anandabodha and Sayanacarya. Now are being published the third and the fourth volumes with commentaries by Anandabodha & Anantacarya. Dr. Bhagyashree Bhagwat and partly Mrs. Nalini Dhadphale worked for the fourth volume. Both of them deserve our sincere thanks. The printing of the entire fourth volume was done by Fontasey Typesetters Pvt. Ltd. We thank them for the quality work they have done. The Rashtriya Sanskrit Sansthan, New Delhi has accorded sanction to the grant towards the editing and publishing of this volume. We record our deep sense of gratitude towards the Rashtriya Sanskrit Sansthan. We are grateful to Dr. B. R. Sharma for the pains he took in preparing this Edition, at this old age and also for allowing the MandaI to publish the same. His indifferent health did not allow him to write his scholarly Introduction to this volume which as per his communication he proposes to do at the time of printing of the Index-Volume. 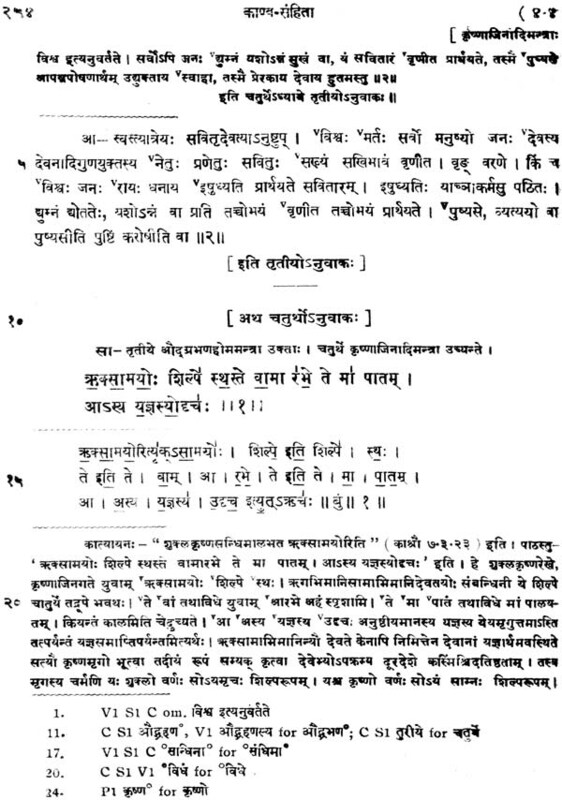 The text of the Kanva Samhita along with the Padapatha and the commentaries mentioned above was edited long back by Dr. B. R. Sharma. The 3rd and 4th volumes of this project were published in ] 999. Dr. B. R. Sharma, due to his old age and ill-health expressed his inability to proceed with the index volume. Then Dr. Bhagyashree Bhagwat was entrusted with this task who by meticulously and single handedly working on it proved her mettle. 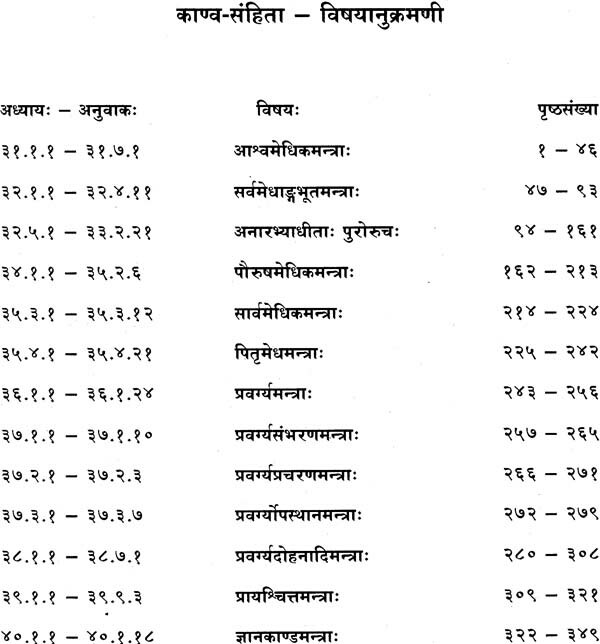 The present volume compnses of indices of Pada, Mantra, Rsi, Chandas and Devata. I need not repeat the special features of these indices which the editor Dr. Bhagyashree Bhagwat has elaborately stated in her preface. We take this opportunity to express our heartfelt gratitude towards the authorities of the Rashtriya Sanskrit Samsthan, New Delhi. for supporting the entire project financially. We could not but express our humble gratitude towards H. H. Shri S.A.R.P.V. Chaturvedi Swami of Sri Ramanuja Mission Trust, Chennai for sponsoring the paper for the printing of this book. We accept it as the blessings from Swamiji. Ms. Ketaki Gokhale deserves our thanks for her prompt and perfect services for, computerized type setting and, Ms. Vaijanti Dhole- Patil and Ms. Surekha Wagle of Step in Services for timely printing. On behalf of the Scholars and also on behalf of the Vaidika Samshodhana Mandala (Adarsha Sanskrit Shodha Samstha). I again congratulate Dr. Bhagyashree Bhagawat. I conclude this note by paymg our sincere homage to the Late Dr. B. R. Sharma, who left for his heavenly abode, a few years ago, leaving his blessings for Vaidika Samshodhana Mandala (Adarsha Sanskrit Shodha Samstha). We have great pleasure in bringing out the fifth volume of the Kanva Samhita (KVS) project, comprising various indices. The printing of the text of the Kanva Samhita alongwith Padapdtha and the commentaries of Sayanacarya and Anandabodha (I and II) and Anandabodha and Anantacarya (III and IV) was completed in the four volumes. The text of the four volumes was critically edited by the late Dr. B. R. Sharma. The fifth volume with various indices was included in the original plan designed by him. However, Dr. B. R. Sharma expressed his inability for preparing the proposed index volume, in 1999. A resolution was passed and it was decided to prepare and publish the fifth volume consisting indices. Then the work of preparing the word-index was undertaken. I am thankful to the authorities of the Vaidika Samshodhana Mandala especially to Dr. T. N. Dharmadhikari for entrusring the responsibility of this last volume, to me. The delay" due to unavoidable circumstances for the publication is duely apologized. With the completion of this fifth volume the voluminous project of the Kanva Samhita has come to an end. 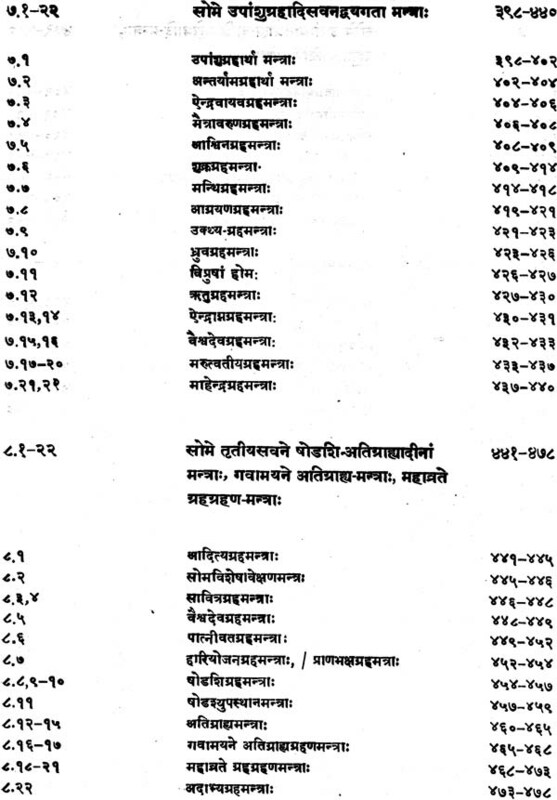 The work is unique of its own, since it gives the critically edited text of the Kanva Samhita alongwith the Padapdtha and the Bhasya-s, first time. Various indices certainly enhance the utility of the work. Thus this is the first critical edition of the Kanva Samhita with the commentaries.